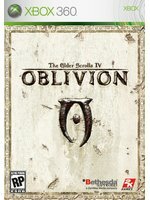 The ever increasing Xbox 360 owner population loves them so Elder Scrolls IV: Oblivion apparently. Take-Two has shipped (different than sold but they wouldn't ship it if it wasn't needed!) 1.7 million copies of their next-generation RPG so far.